Animators are one of the most integral cogs in the video game development process. Their responsibilities are enormous, with their quality of work always scrutinized. The animation team at Bethesda Game Studios has been hard at work for quite a while now, crafting complex movements for characters, creatures and weaponry to be featured in The Elder Scrolls V: Skyrim. 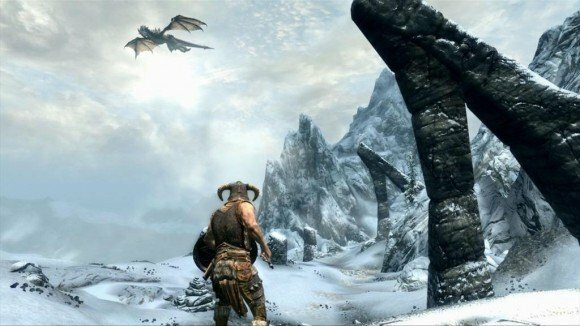 In order to showcase the blood, sweat and tears that went into their part of the development process, the team members have released A Big Mountain To Climb: Animating Skyrim. A behind-the-scenes look at the game’s development, it’s the latest in the studio’s developer diary series. Don’t miss this one, as you’re sure to learn something interesting about what is already one of this holiday season’s biggest games. You can find it on Skyrim‘s Community Website. The Elder Scrolls V: Skyrim will be available on retail shelves this Friday, November 11. We will have a full review available for your perusal tomorrow. Make sure to check back for that!